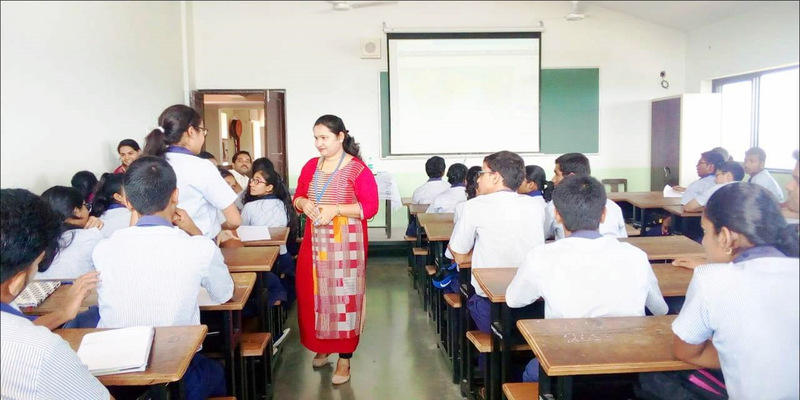 The Atal Tinkering Lab (ATL) workshop was conducted on topic �Satellites� on November 17, 2018 at St Xavier�s Higher Secondary School, Mapusa by Mohini Naik from Don Bosco College of Engineering (DBCE) , Fatorda. The workshop was of 1.5 hour duration where std.XI & XII students from science stream had participated along with few other faculties of the institution. Pooja Navim from St. Xavier�s Higher Secondary School, Mapusa, welcomed the Resource person and Mentor Mohini Naik. The Mentor opened the talk by giving various examples of day to day life such as smartphones, projectors, antennas which captured the interest of the students. She further discussed about types of communication which include audio-visual, data etc. She mentioned about the satellite communication, its working and applications in detail. She also stressed upon the various satellites launched by India and the important role as well as the achievements of the ISRO. She described how the rocket is launched along with the satellite and how the satellite is placed in the respective orbit; different orbits of earth are LEO, MEO, GEO, and HEO. She briefly explained about the orbits of mars and moon. She also mentioned about different types of satellites such as polar, geostationary etc, she demonstrated students about how to use the satellite tracking app. Mohini Naik invited students present for the workshop to join in hands to take this topic to a practical level, where students can launch their own satellite. She shared few details about her project which she is undertaking with students from DBCE, Fatorda, where they are planning to design and launch a student satellite. Maria Dancho from XII Science thanked the mentor for enriching students with an enlightening session.